Jason B. Diamond, MD., F.A.C.S. The Diamond Face Institute is now offering breast and body enhancement procedures performed by a board certified plastic surgeon selected by Jason B. Diamond. Call (310) 955-4697 today! Dr. Jason B. Diamond MD., F.A.C.S. Dr. Jason Diamond is skilled in both the art and science of facial plastic surgery. His approach is tailored to each patient individually, and he's deeply dedicated to making every plastic surgery experience a success. He applies his talents and training exclusively on the face. No matter what facial procedure you're seeking, Dr. Diamond can provide youthful, natural looking results. Available non-surgical treatments include Latisse®, laser rejuvenation, Botox® injections, and facial fillers. Along with facial cosmetic procedures and treatments, Dr. Diamond is also a facial reconstructive specialist, assisting patients to correct imperfections or problems as a result of birth defects or injury. No matter what facial procedure you're seeking, Dr. Diamond can provide youthful, natural looking results. 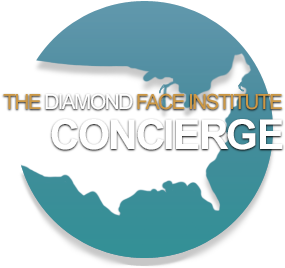 The Diamond Face Institute is located in Beverly Hills, CA. Jason B. Diamond, M.D., F.A.C.S. is a leading plastic and cosmetic surgeon in Beverly Hills who is skilled in creating a youthful and natural appearance for all of his patients. Attracting both men and women in the Greater Los Angeles area, Dr. Diamond is board certified by the American Board of Facial Plastic and Reconstructive Surgery (ABFPRS) and the American Board of Otolaryngology (ABOto). He is also a fellow of the American College of Surgeons.